The Brite Gunner Outfit in Fortnite BR. You can buy it from the Cash Store for 1,500 vbucks. Brite Gunner is the name of one of the outfits in Fortnite Battle Royale. You can choose to use that Back Bling or any other Back Bling with the outfit. First appearance in the featured section of the store on April 28th, 2018. 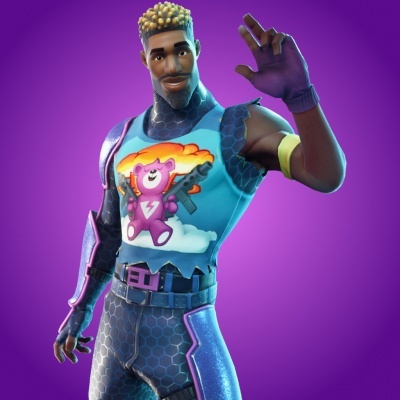 This is the male version of the Brite Bomber Outfit. Only skin in the game with a ribbon on his left arm.